Our End Of The Year Blockbuster SALE is a great opportunity to stock up on our educational products at a steep discount. Below is a list of items and brief details on each product. All these products are in DIGITAL format for immediate download. Learn simple strategies to reduce stress, eliminate misbehavior and create your ideal class. How do you create your ideal class? 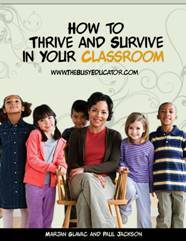 3 teachers with over 60 years of classroom experience show you how to implement strategies so you can thrive and survive in your classroom. Simple strategies are given to keep your unmotivated students engaged and on task; a proven technique to finding enough time in the day to get everything that needs to be done in the curriculum, while making sure you have a life outside of the classroom; how to ensure successful teaching and learning experiences that will simplify your complicated curriculum documents giving you the confidence to teach any curriculum. 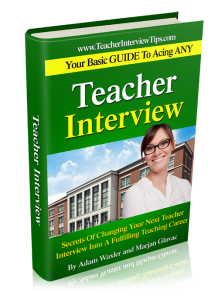 In less than seven days, this program will help you become a better, more effective, more accomplished, happier and stress-free teacher. Discover the surprisingly simply strategies, tips, and lessons to gain and keep students’ respect and instill in them a love of learning. For 29 years, I taught in the trenches, on the front lines, in the firing zone. I was in the class with my students, day in and day out, just like you. I went through a roller coaster of emotions with them every day, the highs and lows, the failures and successes, the joys and disappointments of daily teaching. I’ve written down my experiences and successes in How to Make a Difference: Inspiring Students to do Their Best to walk you through how to both gain respect and develop a rapport with your students, create a healthy and happy learning environment, and instill your students with an eagerness for learning. 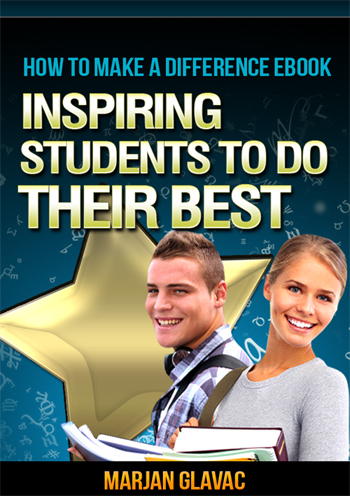 This is the companion video course to the How To Make A Difference: Inspiring Students To Do Their Best eBook. 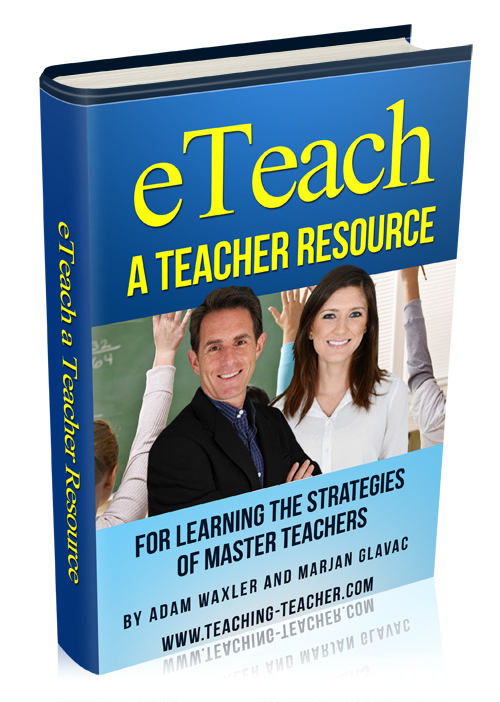 Introducing the best practices of effective teaching. Finally an Ebook that addresses classroom management style and academic achievement. Whether you need first grade classroom management tips or effective teaching strategies for large lectures, this resource is for you. The most comprehensive collection of quality audio interviews we’ve ever developed! Listen as North America’s most respected educators and speakers describe the principles that have gained them the respect and admiration of thousands. The Busy Educator Audio Collection is for any teacher serious about making a difference and reaching every student in their classroom. 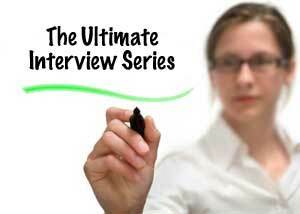 Once you’ve landed an interview, do you have trouble sleeping the night before an interview? Do you get stressed and anxious with answers to questions you don’t know? You can’t lose with our 100%, ironclad, money back guarantee. You even get to to keep the materials and the bonuses with my pleasure. You risk nothing. You can get everything in our END OF THE YEAR BLOCKBUSTER SALE in digital format with immediate download for the give-away price of just $75. (That’s more than $402 off the regular price!) PLUS hundreds of dollars worth of FREE Bonuses!